The most of us are enjoying the freedom of expression and speech, including the media. Only a few of dictatorship countries are controlling the media, so those people who are living in the countries cannot be realized the actual situations and publicities. Instead of them, the people just like us are able to be realized and mastered by accessing several media, including online and offline published. However, some of the media, following the left and pretending themselves as the freedom warriors against dictatorships, are confusing people into a chaotic state of affairs. Sometimes, these media are recognizing like a communist organ to me. The media, which stir up divisions in a nation, are dangerous. These media usually claim object to governments’ intentions. To be opposed of governments, they struggle against the intentions, and they finally reach the final object ‘Subverting the state’ by instigating innocent people. Who said ‘Pen is stronger than weapon.’? Well, that obviously is true. Those media also usually spread groundless rumours, especially when the states are in the case of emergencies, such as during the war or the disasters. To spread the rumours, the people are incited; and the articles or the rumours may incite them to rebellion. In addition, I would like to refer one of the most important events in our history as well. For the Third Reich, the Third Empire also referred to as Nazi Germany, the empire was latterly organized by the German Worker’s Party to the National Socialist German Worker’s Party (abbreviated as NSDAP); even, the party was the far right the fascists. 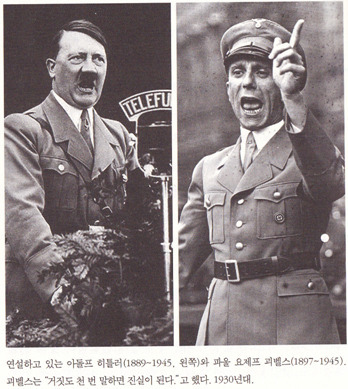 By the way, many people regard Hitler as having been a demagogue; however, Paul Joseph Goebbels (simply known as Goebbels) was the one who raised Germans into the Second World War, which had brought devastation to Germany. The Germans were exhausted for the defeat of the First World War, and the defeat was a great eye-opener for the people. Thus, Goebbels realized nationalism would tie people together. This is how totalitarianism always begins, and the incitement had led their history into such tragedies, the incitement which had inculcated the delusion ‘Germania Mythology’ to Germans, and ‘The Final Solution’ (Ghetto), also. Always remember this, inciting people for confusion is sedition. Do not call yourself as, or try to be ‘awaken people’; better be a wise man, who can creatively think and independently result outcomes themselves. Our history has rapidly passed away, and there were uncountable events which cannot be contradicted. The past history, such as The People’s Revolutions, the Industrial Revolution, Renin and the Raising Communism, the Second World War and the Cold War, has made the world unlikely our leaders had expected. The Soviet Union had fallen; the Red Bear had fallen, and the raising of Panda. Nowadays, the People’s Republic of China is emerging as one of G2, the new world order, recently restructured by Washington and Beijing; particularly in which the Government in China has insisted on accepting the Chinese Yuan as a reserve currency into the world markets. Mostly to take its superiority than the United States Dollar in transacting international bonds and oil dealings. According to its new transformation of new hegemony, this is no time for the existed governments, allied with the U.S., to repeat an ‘everything alright’ alliance with the United States, but read into what the new administration in Washington has in mind in the context of the new world order, particularly in which China is emerging as one of the G2. However, the supreme controlled by U.S. is the way better than what China and Russia are. Imagine what might be happening if China and Russia control the supremacy, be referred territorial disputes and international disputes between China, Russia and third countries. The truly world police and the gangsters who are dully following as what Washington does. Furthermore, variables of religion crisis are raised as the new threaten of our lives and nations. Firstly began with the Crusades; and after the time, the Soviet-Afghanistan war (U.S. supported mujahedin which lately known as Al-Qaeda), and the 9-11 Terror. And, the crisis in Iraq, caused by the Islamic State of Iraq and the Levant, is now on present progressive. Personally, I do not blame Islam the religion; however, the problem is the lunatics who are heretically re-writing and following Quran. The religion power is enough to tempt and make people to be crazy and dumb, even an educated person is; so the lunatics demagogy others to accomplish their ‘own’ Jihad, not by themselves; what the cowards they are. I was able to find several similarities between ‘Mein Kampf’ (written by Adolf Hitler the dictator of the Third Empire) and them. All mankind around the world own different mother tongues, cultures and skin tones. However, the spreads of Globalization; after the time, we are able to communicate with the occupations at different regions. Meanwhile in filming industries, Globalization has widely practiced and executed into the industries, not only the communications between people, and also to able the industries to thrive. Back to the topic, each different occupations at different regions are able to see overseas films in their living room with seating a downy sofa. According to the theory belonged to evolved technologies, different people have been able to easily understand and adopt different languages and cultures in their actual lives. The Hollywood Movies, originated from the Las Vegas, have taught to people what American Patriotism and Imperialism imply. Furthermore, several Korean movies and K-Pop originated from South Korea have taught us the effects of Plastic Surgery. 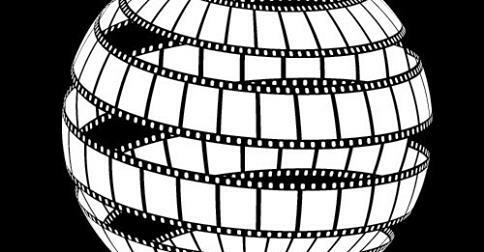 Not only has such the negative effected as shown above, these films and cultural aspects have made many people indirectly experiencing other regions’ aspects, without boarding to the destinations; and people, who are bored to the local cultures, to be laughed for newly transformed humours that never experienced before at the boundary line of local areas. At least, I know who Stephen Chow is. Personally, he is one of the most favourite Chinese actor for me. Moreover, his acting style is really well-collaborated to my preference. At the conclusion of the essay, I would like to define the word ‘Glolocalization’, the compounded word that compounds the words ‘Global’, ‘Local’ and ‘-lization’; adapting and being globalized at limited local areas.